Ready With The Pen For The Pile of MONEY That Awaits YOU? The Basic Introduction And an Overview Of The Art of Writing. 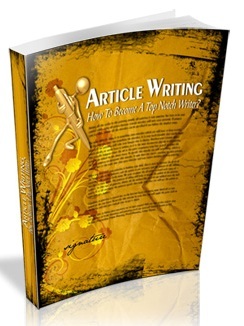 A Comprehensive Synopsis of the Professional Art of Article Writing with extra Emphasis on its Features and Requirements. An Explicit Guidance for polishing the Novice's Talent to that of a Professional's Characteristic with Deep Thesis on the Creation of Excellent and Tremendous Drafts. The Perfect Article Material to be Utilized and the Prompt Result-giving Tips for Extraordinary Accounts.